The Fencing Rectangular Handmade Metal Trophy is a stylish award handcrafted from a dark brown curved piece of metal. A polished gold coloured metal figure holding a foil is positioned in the top right hand corner. This trophy is made from premium materials and is handcrafted in Barcelona by skilled craftsmen. 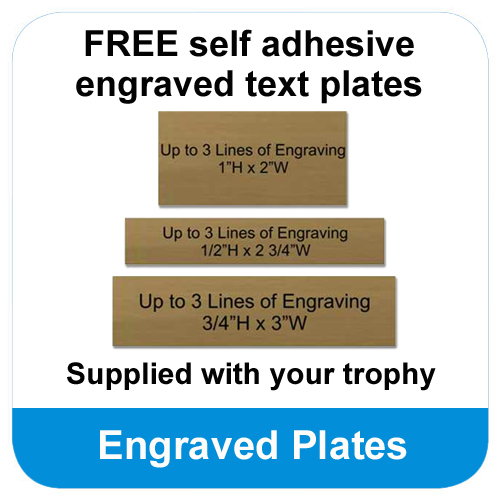 Coming in a choice of 4 sizes the trophy is also supplied with a FREE engraved text plate. 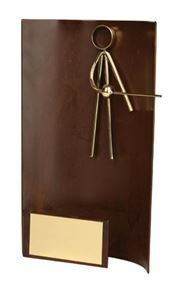 The Fencing Rectangular Handmade Metal Trophy would make a stylish, unique award for your presentation ceremony.